The Forest Ball is an invitation to touch the beyond, dive into magical realms, around the ceremonial fire on the wings of the medicine. The week before, a creative space offers a build-up of events and classes for friends to meet their forest creature character, tune in, and manifest the costume for the ball. Animal Spirit Tarot cards seek to represent the Animal Spirit within. Using mystical symbolism inspired by the Ancient Tribes, a Tarot Card reading provides inside into the inner being and personality, as well as guidance in practical life. This particular session will open up the invitation for one’s Spirit Animal to express itself for the upcoming Forest Ball. In the morning Theatre class, all are invited to meet their Inner Creature and bring it to life, exploring different forms of expression, with support of tools and techniques from the Alternative Theater movement. The afternoon session will focus on dance and movement… an invitation to explore the finer qualities of our Inner Creatures, coming closer to the subtle details and sensory experience of that being: how is this Creature moving within? A chance to explore what it means to wear a costume, and how this affects dance and movement… allowing Creature and Costume to become one. PachaMama’s box of treasures is opening up to help guide in the making of creature costumes for the Forest Ball ceremony. A space to find basic materials and clothes to get started. Please note: Costumes should be made from nature or re-useable items… please do not bring any plastic or other items into PachaMama for this specific single use – ecological responsibility is always first in mind. The Forest Ball Ceremony is a special version of PachaMama’s Rock Odyssey Musical Journey. Dressed as your Inner Creature, you are invited to travel on the wings of music in an all-night mystical journey. 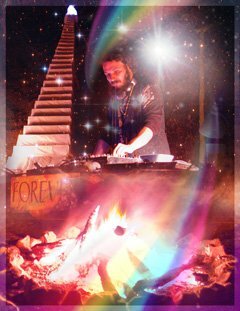 DJ Tyohar weaves together musical masterpieces of all genres and eras to create a rich tapestry of sound, uniting the community in reflection, dance and prayer. To close the portal of this fantasy world, and fare the creatures off on their journeys home until next year, you are invited to share about your experience, and we will enjoy some visuals from the night in a short slideshow.